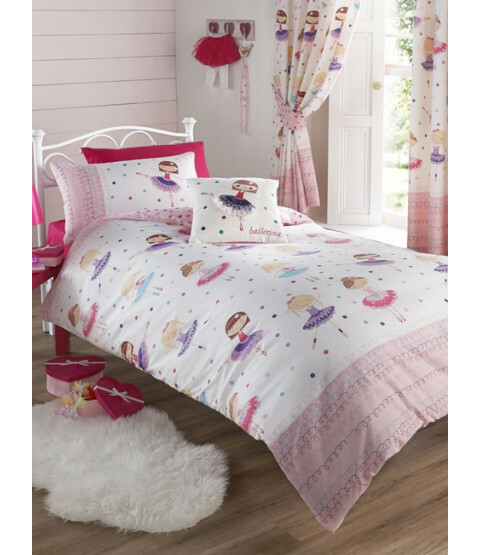 This stylish and contemporary Ballerina single duvet cover features a collection of pretty ballerinas on a white background with polka dots in shades of blue, pink and purple. The reverse of the duvet also has a polka dot theme with a pink background. This item is suitable for machine washing and tumble drying.